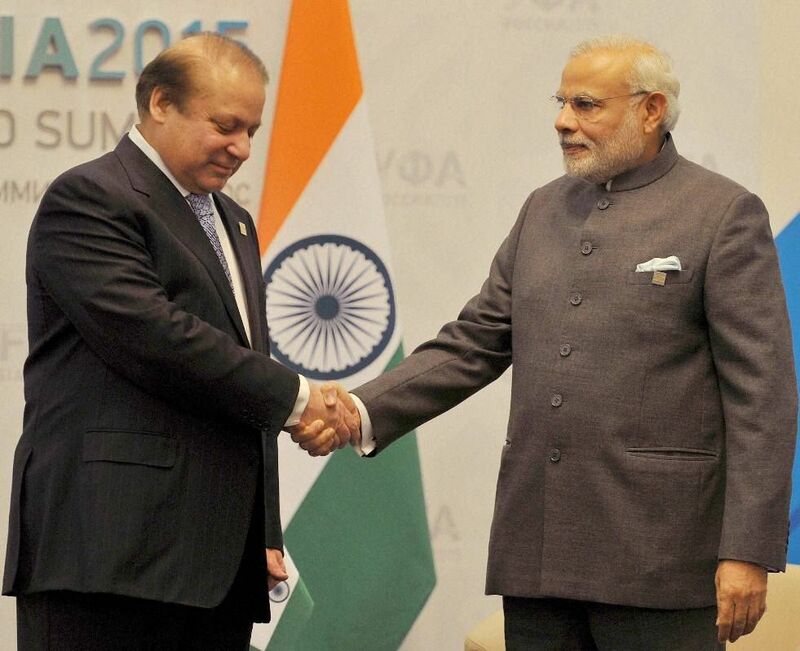 How can the Raheel-Nawaz regime bow in front of India this much? Has the Raheel-Nawaz regime forgotten the statement of Modi on 7 June 2015 in Dhaka University in which he admitted Indian involvement in breaking Pakistan into two in 1971, separating East Pakistan as Bangladesh? Has the Raheel-Nawaz regime forgotten the civilian and military martyrs who have been killed along the Line of Control and Working Boundary because of continuous Indian hostility over the last one year? Has the Raheel-Nawaz regime forgotten their own assertion that Indian intelligence, RAW, is behind the deteriorating law and order situation in the tribal areas, Baluchistan and Karachi? Has the Raheel-Nawaz regime forgotten the blood of martyrs killed in the Samjhota Express incident? On top of that has the Raheel-Nawaz regime forgotten Kashmir and the Muslims living there who even today raise Pakistani flags high, with the hope that Pakistan will liberate them? "اور تم ان کے خلاف بھر پوری تیاری کرو، قوت اور پلے ہوئے گھوڑوں سے، جن کے ذریعے تم اپنے اور اللہ کے دشمنوں پر دھاگ بٹھا سکو"